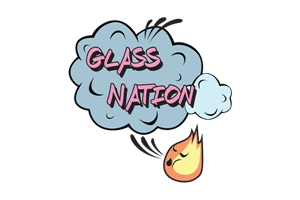 Glass Nation strives to have the most complete and extra large rolling paper selection of the best king size rolling papers online. King size papers are different that traditional rolling papers in size only. They are about twice the size of a normal rolling paper and thus contain twice the fun. King size rolling papers are perfect for smoking in a group setting. Or if you are especially in need of an extra long smoke. King size papers give you the ability to control how much material you put into them. The larger papers are easier to handle and can always be trimmed down in the event that all that paper is not needed. Glass Nation strives to have the widest selection of the best extra large rolling papers online. If you are looking for extra large papers look no further because Glass Nation has you covered.